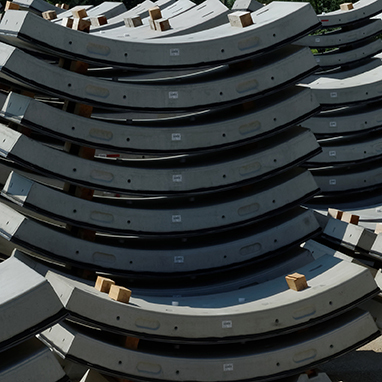 Rail or road, refurbishment, rebuilding or new construction: high-performance and reliable transport arteries are complex constructions. Increasing individual traffic requires faster construction times as well as increased long-term emission protection, especially with regard to noise and vibration. Elastic adhesives and sealants by KÖMMERLING facilitate installation, contribute to noise and vibration reduction, and thus ensure durable and secure sealing. Get in touch with us! When a tunnel is bored in shield drive, stabilisation, sealing and final lining are usually done in one work process. The construction of the tunnel’s interior casing is done using a ring of prefabricated reinforced concrete elements – the tubbings. To seal the tubbing joints, elastomer seals, generally made from EPDM, are glued into the circumferential grooves intended for this purpose. KÖMMERLING has products specially developed for this application in its programme. In large tunnel projects, tubbings are often produced in series on site. Therefore, one focus is on fast initial adhesion of the adhesive. Once installed, the tubbings must remain absolutely impermeable. Excellent water resistance of the bonding is therefore indispensable. The rubber-based KÖMMERLING products fulfil the highest requirements on functionality and stability in the bonding of elastomer seals. 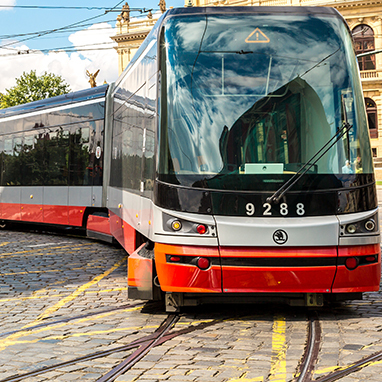 One of the major problems of rail traffic in cities is the transmission of vibrations from the rail track superstructure to the surrounding area. Therefore, acoustic decoupling of the rails from the underground and the surrounding area is increasingly becoming standard in modern railway tracks. Optimal noise reduction and insulation from stray current are achieved by bonding elastomer filler block elements with the rail. Noise and vibration emissions are decreased by the installation of sub-ballast mats. They contribute to noise damping and to the protection of neighbouring buildings. Whether used for the installation of filler block elements, for the bonding and sealing of sub-ballast mats or other damping elements – KÖMMERLING special adhesives on the basis of rubber or polyurethane enable easy installation and ensure long-term bonding.